This is a quick post about a fossil hunting trip I made to the Martin Marietta Berkeley County Quarry (now closed) in South Carolina back in 1994. This quarry was one of the biggest sources for mined limestone in the S.C. Low country and, oh by the way, the very best example of Middle to Late Eocene marine stratigraphy exposed in South Carolina. It is well known for its fossil bryozoa, molluscs, echinoderms, brachiopods, crabs, and whales. The Middle Eocene was a critical period in the evolution of whales. 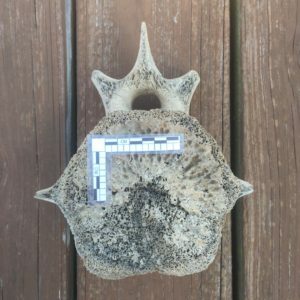 At this time we are seeing the very earliest fully marine Cetacea evolving from forms that spent more time on land than they did in the oceans. The Protocetids still had vestigial hind limbs that their ancestors had used to move around freely on land (think about hippos). 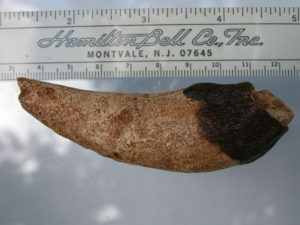 Protocetid whales are very rare in North America. The four described species (all from Southeastern states) are Natchitochia jonesi (from the Cook Mountain formation of Louisiana), Eocetus wardii (from the Castle Hayne formation of North Carolina), Georgiacetus vogtlensis (from the “Blue Bluff Unit” of Georgia) and Carolinacetus gingerichi (from the Tupelo Bay formation of South Carolina). Carolinacetus is considered to be the most basal (most ancestral) of the North American Protocetids, and is the species that I found at the MMB Quarry. 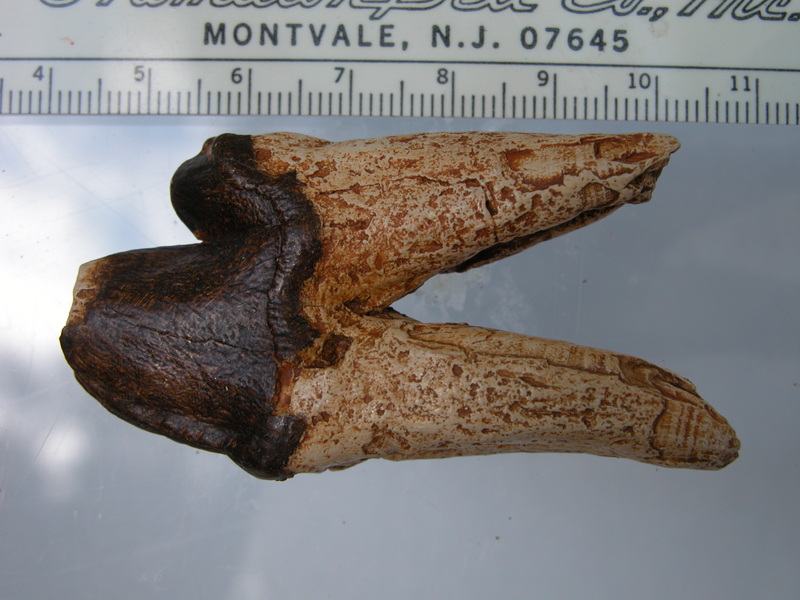 At the time that I discovered these three teeth, they were thought to be the same species as the then newly discovered Georgiacetus, and were the subject of a paper that was published in the Journal of Paleontology in 1996 by Barry Albright. The teeth are now deposited in the Charleston Museum (S.C.). Subsequently, in a paper by Jonathan H. Geisler, et al, published July 25, 2005 in American Museum Novitates (published by the American Museum of Natural History), these teeth were referred to the new species Carolinacetus gingerichi. The identification was based on a partial skeleton (including a partial skull, the rear portion of both dentaries, 13 vertebrae, and elements of 15 ribs) that was found in the same quarry by another volunteer from the Charleston Museum about the same time as my teeth. I later found a single vertebra from a different part of the quarry, which I believe is the right size to also be from Carolinacetus. I will share more about this quarry in later posts. Welcome to my blog. I joined the Dry Dredgers soon after moving to Pickerington, Ohio from coastal South Carolina in 2014. 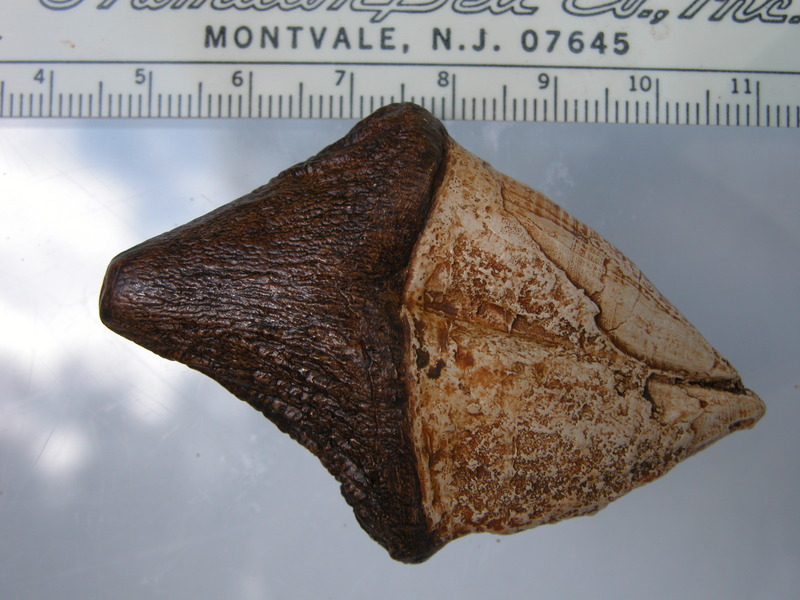 I am a past member of the Summerville (SC) Fossil Club, The Paleontological Research Institute and the South Carolina Shell Club. I worked for 15 years as a volunteer in the fossil and seashell collections of the Charleston Museum. I am a certified PADI Divemaster, and have collected quite a bit in the black water rivers of the South Carolina low-country. I also have a pretty nice collection of land and quarry collected fossils (primarily Pleistocene, Pliocene and Oligocene age) from all around SC, NC and FL. My main interests are invertebrates, but I collect just about everything. I have really enjoyed visiting some of the fossil sites in southwest OH and southeast IN for their Brachiopods, Mollusks, Corals, Bryozoa, and the occasional Trilobites and Crinoids. 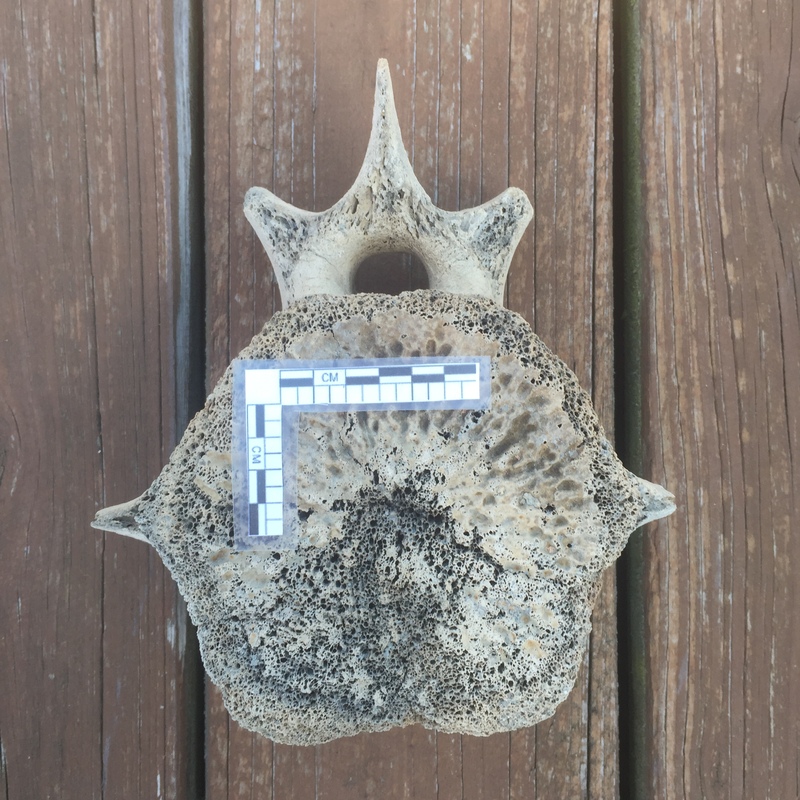 I will be sharing pictures and stories of the fossils I have collected in South Carolina as well as my new discoveries here in OH. I don’t live to far from Summerville and I have found some decent shark teeth there and I would like it if you could email me so I could ask you some questions about were else I could try around there.